I have been observing Cowbirds for a long time. 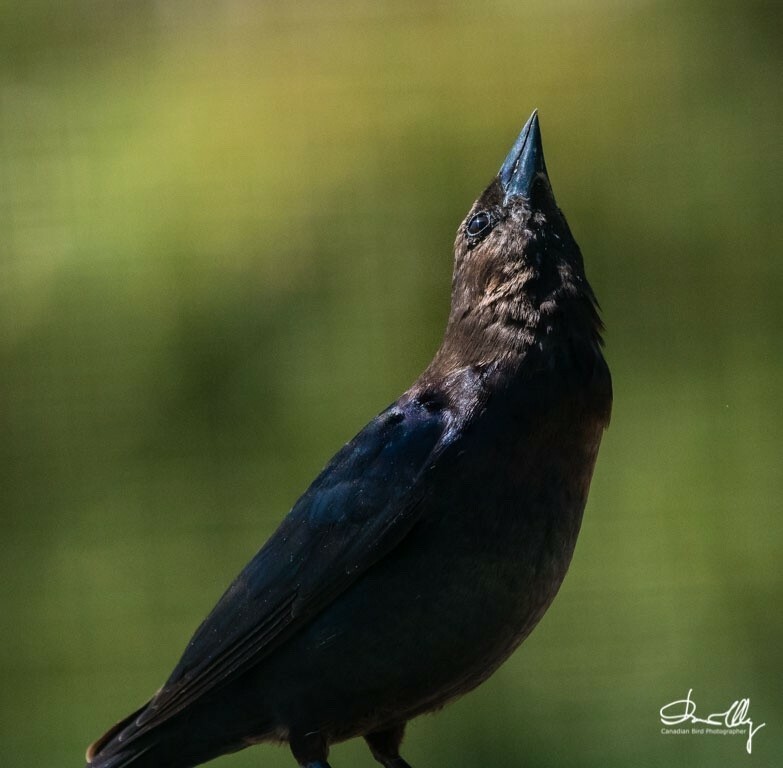 Today as I observed the birds I noticed the same characteristic as I have seen in the past - Cowbirds always look towards the sky. 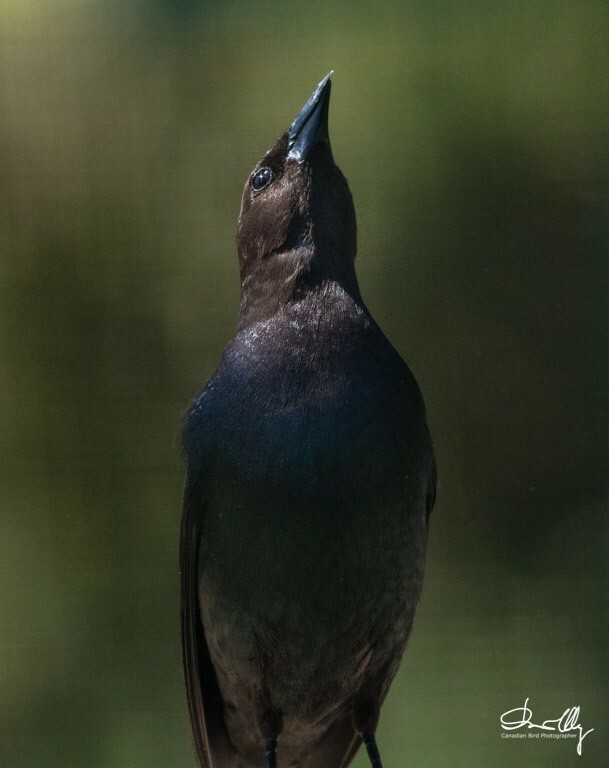 Cowbirds are strange birds as they do not build nests, but rather lay eggs in another bird's nest and let that bird raise their young. They must be successful as there are lots of Cowbirds. Getting back to the strange behavior of looking up towards the sky. My Theory is, they are looking up for predators, I observed today when a Magpie flew over the Cowbirds they scattered. Another theory might be they hold their head high to swallow, but I do believe my first theory is the most logical. They mostly feed in the open and on the ground making them vulnerable and easy prey. As a result they have to be alert all the time, with most attacks coming from the sky. 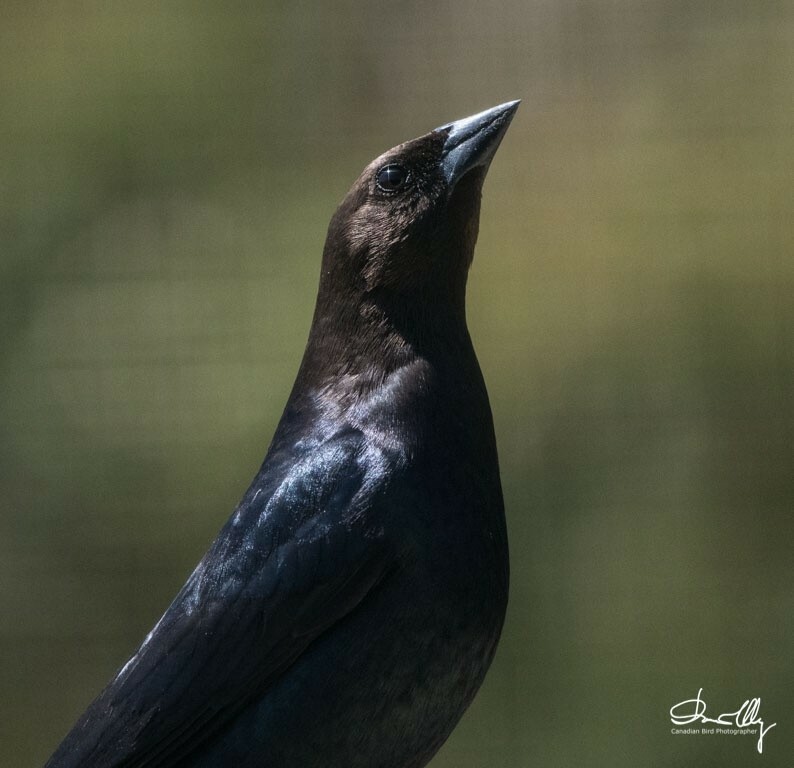 Photographing the Cowbird is fairly easy. If you are in bright sunlight as I was today you will have to underexpose the bird by at least two stops, even then the some feathers will be over exposed.